Kevin Hillstrom: MineThatData: Marketing Campaign Performance: Kevin, Are You An Idiot? Marketing Campaign Performance: Kevin, Are You An Idiot? "How is what you do different than what we do?" In other words, the real question is this? "What, exactly, is your "system"? The Multichannel Forensics "system" (a derivation of the Forecasting system I described on Sunday) ignores campaign performance ... that's how it is different than what you do. Huh? How can you ignore campaign performance? Are you an idiot? Have you ever looked at a funnel report? Don't you know how important subject lines are in e-mail performance? Have you ever measured the response rate of a postcard? Have you ever used Klout to measure your online influence? Are you an idiot? That's the kind of response I sometimes get. The best thing that can ever happen to a marketing/analytics professional is to work at a company that is failing, or to work for a channel that is failing. For me, Lands' End 1995, Eddie Bauer 1998, Nordstrom 2001, or consulting work for 70% of current catalog brands qualifies. Online marketers cannot relate to failure, for even during the Great Recession, online sales generally grew as online cannibalized existing channels. Other marketers, however, are well-versed in failure. Failure changes everything. When you are failing, you evaluate every campaign, looking to unearth the reason why a business is failing. When you do this, you learn critical truths about customer behavior. Customers exhibit roughly the same loyalty on a year-over-year basis. Customers purchase roughly the same number of times, per year, every year. Customers increase spend, on a year-over-year basis, at roughly the rate of inflation. 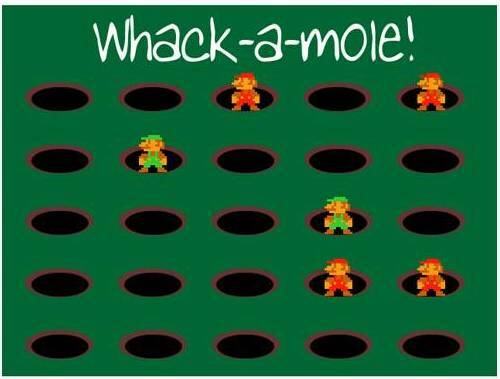 In other words, marketing campaigns are little more than a big game of "whack-a-mole". Look at this grid. Each hole represents a marketing campaign. Each mole represents success. In total, you see six "successes". When your business is failing, you notice that no matter what you do, no matter how hard you try, you're going to be stuck with six successes, total. That's it. Two things make the problem worse ... the six successes aren't necessarily predictable/repeatable, year-over-year, and overall, every campaign is 5% or 10% worse than last year. In other words, it's very, VERY hard to fix a business by fixing campaign performance. In 1995, the cataloger mailed 20 catalogs a year ... that's it. In 2011, the cataloger mails 26 catalogs a year, delivers 110 e-mail campaigns per year, manages 67,000 keyword combinations, partners with 22,000 affiliates, has 38,000 fans on Facebook, and 11,000 followers on Twitter. 45% annual retention rate among 12-month buyers. 2.3 purchases per retained buyer. The only thing that fundamentally changed, over sixteen years, is the average order value ... this grew at an inflationary rate. In other words, marketing campaigns "don't matter". Marketing campaigns don't change customer behavior. Marketing campaigns simply follow a "whack a mole" style of speaking to a customer ... you are constantly trying to find which hole the mole (customer) will pop out of, and you're always a step behind the mole. The Multichannel Forensics "system", if you will, ignores individual campaign performance, because history demonstrates that, for 95% of us, individual campaign performance does not lead to annual changes in customer behavior, rendering individual campaign performance meaningless. The Multichannel Forensics "system" instead seeks to identify changes in customer behavior over time, using rolling twelve month metrics, annual repurchase rates, annual orders per buyer, annual spend per order, migration probabilities across channels, and five-year sales projections to identify "what customers are really doing", to identify "what is really working and what is not really working", across channels, across merchandise divisions, across brands. Merchandise REALLY matters. Changes in the ratio of new/existing product, or changes in the mix of the assortment, result in changes in customer loyalty that manifest themselves in marketing campaign performance. New customers REALLY matter. For 80% of my clients, success/failure is highly dependent upon a steady and ever-increasing diet of new customers that are subsequently managed in a profitable manner, after acquisition. Economic headwinds SOMEWHAT matter. I've analyzed businesses that were barely impacted by the Great Recession. I've analyzed businesses that were crushed by the Great Recession. Pricing/Promotions SOMEWHAT matter. I'm not saying you should or should not be running free shipping promotions, that's a marketing campaign issue, once again. 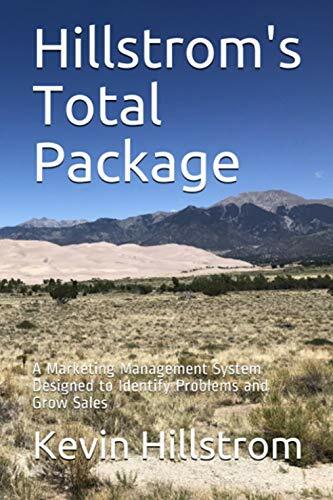 What I am saying is if you have standard $14.95 shipping, and an online competitor offers free shipping 24/7/365 and delivers product to the customer faster than you, then you've got a big problem that cannot be solved via marketing promotions or new customer acquisition. Human beings REALLY matter. In every analysis I've ever done, if a human being touches a customer, the customer spends more, both short-term, and long-term. In many projects, when an algorithm touches a customer, the customer spends less long-term. Ok, it's time for your thoughts. Leave a comment. What "system" has worked best for you, over time? Thanks for the fascinating post. Could you add some specific pointers for working with NGO data where the principal revenue model is one of regular donations? Without knowing your business model, I'd suggest identifying donors who donate the same dollar amount at the same time of year. Also, I'd test your direct mail campaigns ... holdout 10% of your donors, and see if they donate anything or not. I'd also test direct mail vs. e-mail vs. both.